· Maximize your return on investment – lower your monthly mortgage payment and increase your rental income. 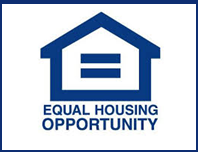 · Use the equity in your rental property to buy additional property or fund other investment opportunities. · ChangeMyRate.com® allows you to invest in properties with up to four units, and you can refinance at anytime with no prepayment penalties. · 30-Year Loan Avoid surprises and know your payment is fixed. · 15-Year Loan Pay off your investment quickly or borrow from your equity at crazy low rates.